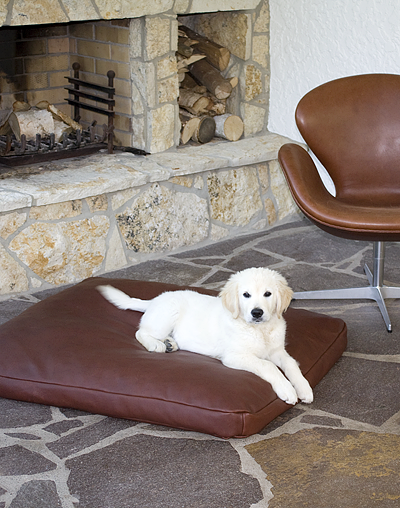 Some time ago I introduced pet-interiors to you, a German manufacturer of the nicest and best quality pet beds I've ever seen. The article with great pics you'll find here. I'm still owing you another dog bed from this company. This cushion made from real leather has a special filling of high quality latex flakes. As with all their cushions this filling was developed to give pets maximum comfort. This cushion is available in either rectangular shape or in an organic shape looking like a stone. www.pet-interiors.de. They do ship internationally! 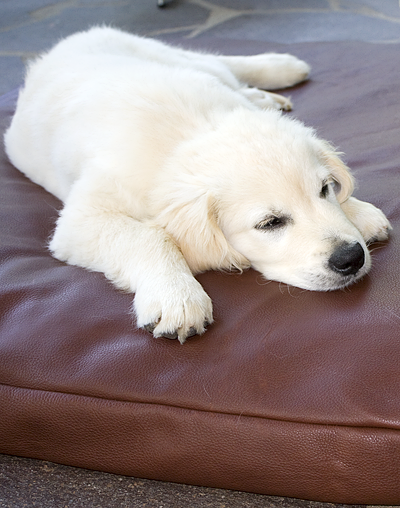 No, the cushion comes without the puppy!